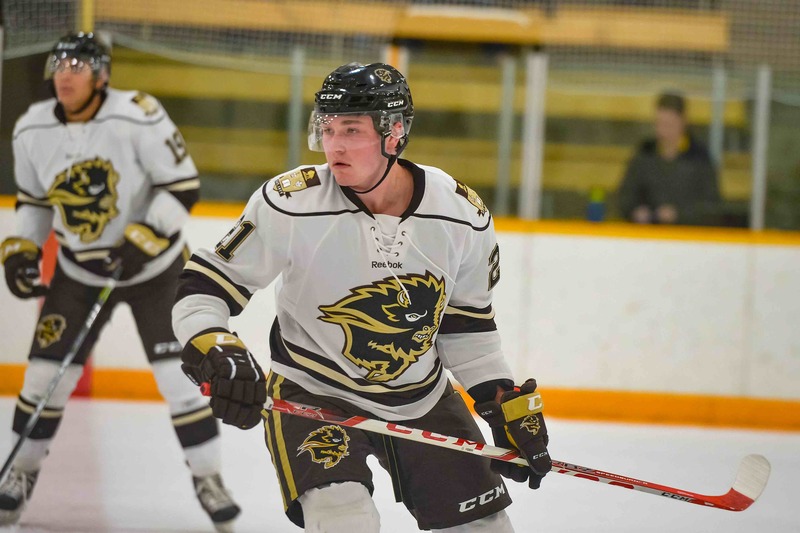 The U of M Bisons men’s hockey team looked to respond Saturday afternoon and even up their series against the Regina Cougars, but wound up swept at home by a 6-3 score. The herd held a 2-0 lead heading into the second period before allowing five unanswered goals en route to the loss. “Our compete and our urgency was much better than last night,” Bisons head coach Mike Sirant said postgame. The herd had eight penalties during the game, including two unsportsmanlike calls and a match penalty to Liam Bilton. While Regina only scored once on the powerplay, the flaring tempers and penalty-kill time killed all momentum for Manitoba. Bisons fans did not have to wait long for a goal, as Kamerin Nault got his team on the board six minutes in. A shot was stopped by Cougars goaltender Dawson MacAuley, the puck found a wide open Nault and he snapped one by for the 1-0 Bisons lead. “Came in off the rush, took a shot, goalie made a real nice save,” Nault said. Late in the first period, Adam Henry extended the Manitoba lead. He picked up the puck on a broken play and put it on goal from an odd angle. The shot bounced around and snuck by MacAuley to give Manitoba a 2-0 lead. Regina came back in the second period tying things up, first with a goal by Tyler King and then by Brennan Riddle . Tate Coughlin picked up a loose puck in the corner and sent a pass to Riddle at the point. He stepped into it, hammering a shot top-corner on Bisons goaltender Dasan Sydora, knotting the game at 2-2 in the second. Then, in the third, everything fell apart for Manitoba. Zak Zborosky put on a clinic, scoring a natural hat trick in just under seven minutes to put Regina ahead 5-2. 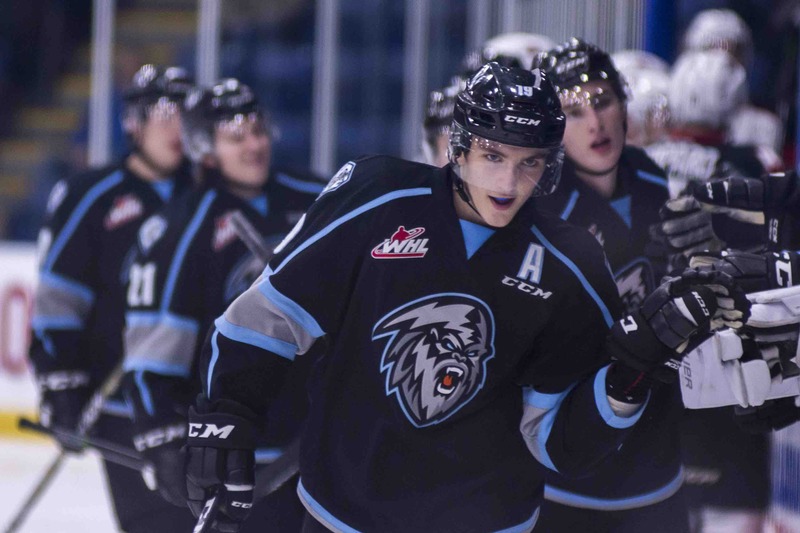 The first came off a cross-ice pass from Jordan Burns, and the next two were nearly identical, as Zborosky walked in alone and snapped a shot by Sydora. “I was getting a lot of chances all game and yesterday too, and I was getting a little frustrated,” Zborosky said. Nault added his second of the game with less than five to go, but Corwin Stevely iced the game with an empty netter, giving Regina the win. 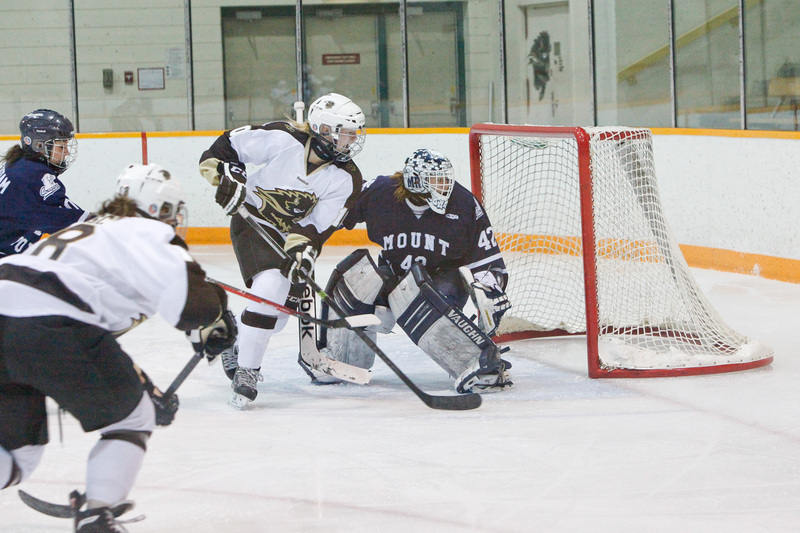 The Bisons will look to avenge the losses next week when they visit the Mount Royal Cougars in Calgary. Game one is Oct. 26 at 7 p.m. MDT and game two is the next day at 3 p.m. MDT.